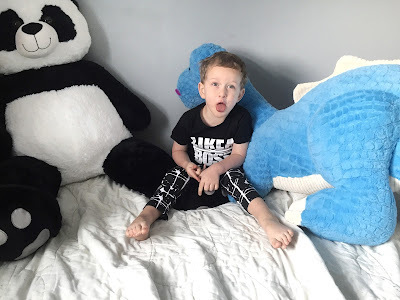 Stinky Bunny Review! Adorable & Affordable Kids Clothes! Hi everyone! 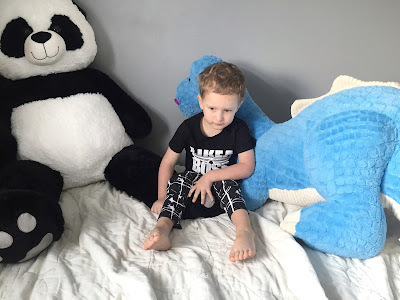 You all know I LOVE a good deal, and even better if it's adorable clothes for my son I was very excited to collaborate with Stinky Bunny on this post. Disclaimer, this outfit was sent to me at no cost, but all opinions and photos are my own. 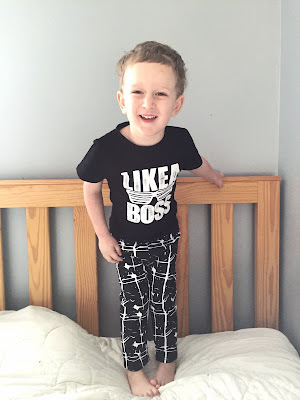 One of my favorite things ever is going clothes shopping for M. I love finding new pieces for his wardrobe, especially ones that don't break the bank. Stinky Bunny is a Canadian business run by a Canadian Mama. They offer affordable and trendy pieces that don't break the bank. We love this stylish monochrome outfit! Lara Gilbertson-Hudson is the owner of Stinky Bunny. 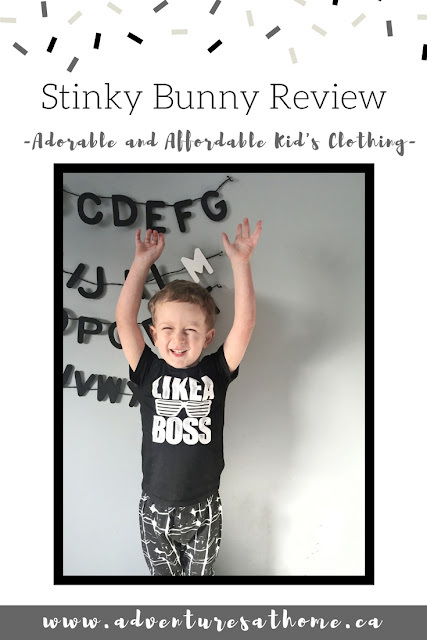 She says "Stinky Bunny offers clothing, soft soled shoes, bandana bibs, 4-in-1 nursing covers, birthday outfits, handmade tutus and hair accessories. 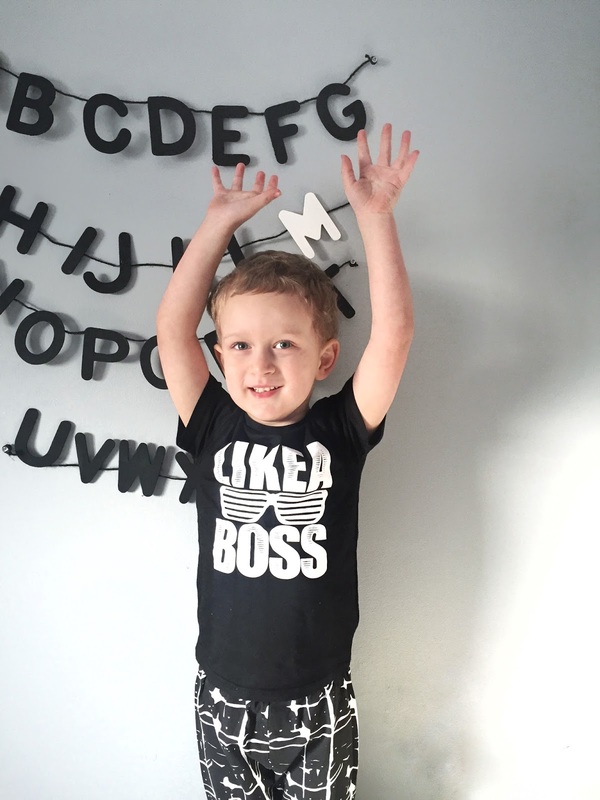 We can dress and accessorize your little one from newborn through 6T. New styles and sizes are being added regularly! I want great fashion to be affordable so anyone who wants to can "Be the Cutest Bunny on the Block!" I personally love that she carries larger sizes since most boutique style kids clothing stores only offer cute styles for babies and young toddlers. Stinky Bunny is offering readers of AAH a discount code from now until March 11th! Use the code ADVENTURE for 10% off! Check them out and tell me what you think in the comments below! Young Living Premium Starter Kit Review! Valentine's Day Gift For HIM With JORD Watches!